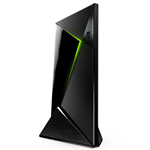 The SHIELD Android TV 2.0 update introduced the GeForce Now streaming service and brought the ability to play games natively in 4K. These additions were joined by support for additional codecs and containers. But some users didn't have quite the pretty picture they wanted following the update. Their picture quality was very dark. With 2.1, NVIDIA says it has improved HDMI black levels and HDMI compatibility. Some users in the forum have confirmed that their picture is no longer as difficult to see following the update.